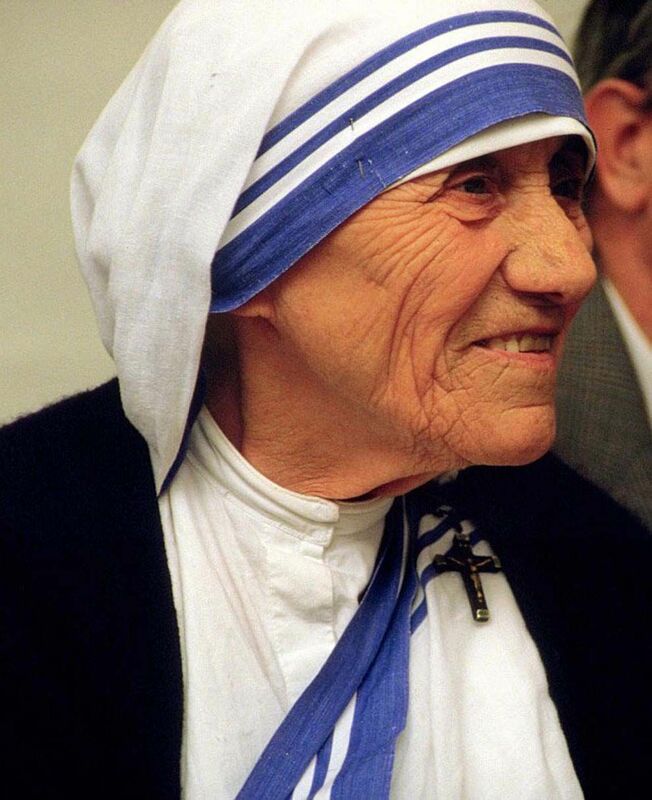 On September 5, 1997, Mother Teresa died in Calcutta (now Kolkota), India, at the age of 87. Mother Theresa was awarded the Nobel Peace Prize in 1979 for her work with the poor community in Kolkota, India. Photograph by Turelio, courtesy Wikimedia. This file is licensed under the&nbsp;Creative Commons&nbsp;Attribution-Share Alike 2.0 Germany&nbsp;license. On September 5, 1997, Mother Teresa died in Calcutta (now Kolkata), India, at the age of 87. Mother Teresa, born Agnes Gonxha Baojaxhiu in Macedonia, knew she wanted to become a missionary when she was only 12 years old. Mother Theresa had been living among the desperately poor in Kolkota since 1929, and won the Nobel Peace Prize in 1979. Although Mother Teresa's work was based in Kolkota, it had a global influence. Today, the organization she founded, the Missionaries of Charity, has more than 4,000 nuns in 133 countries around the world. member of a religion who travels to a different community in order to convert new people to their faith.